Fo-Ti Root by Nature's Way gives me good extra energy! Good product! I use Fo-Ti Root by Nature's Way to help control my cholesterol - it has lowered it enough to keep me off pharmaceuticals! Good for liver and kidney energy. The benefits are subtle but generate a calmness and balance for me. 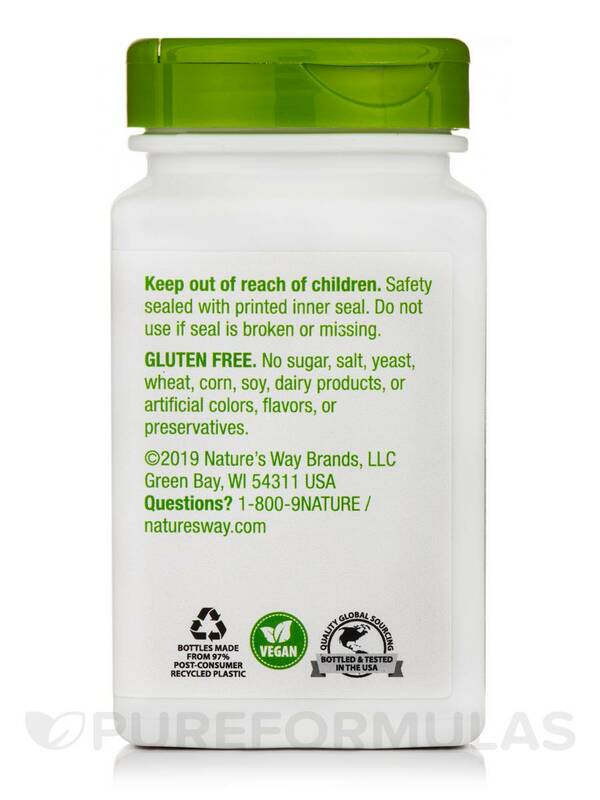 Improve longevity and rejuvenate your cells‚ glands and nerves with Fo-Ti Root 610 mg - 100 Capsules from Nature’s Way®. 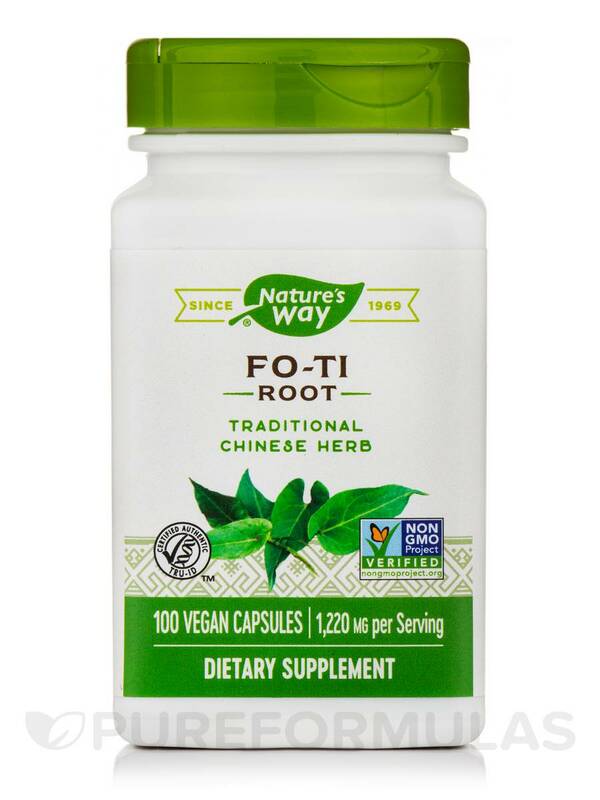 Fo-ti root has traditionally been acknowledged as the fountain of youth that may relieve a number of conditions and improve sexual vigor. This herb may contain an alkaloid that may boost gland and cellular function. It may also have lectins that imitate antibodies to prevent heart conditions. This anti-aging tonic may slow down graying of hair‚ inflammation‚ and nerve damage and blood deficiency. Boosting immunity‚ fo-ti root may also stimulate red blood cell production and antibacterial action. 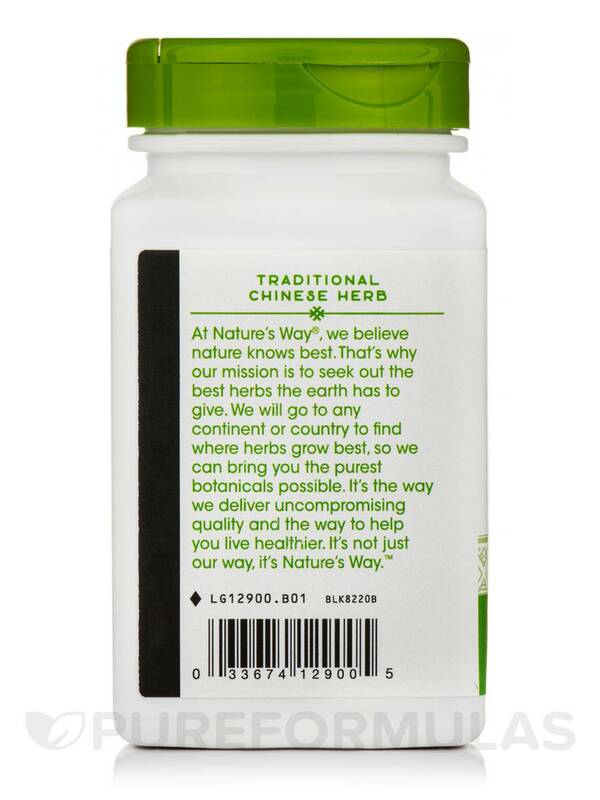 The adaptogenic herb may help preserve stamina and vigor‚ tone kidney and liver‚ fortify bones‚ and purify the blood. 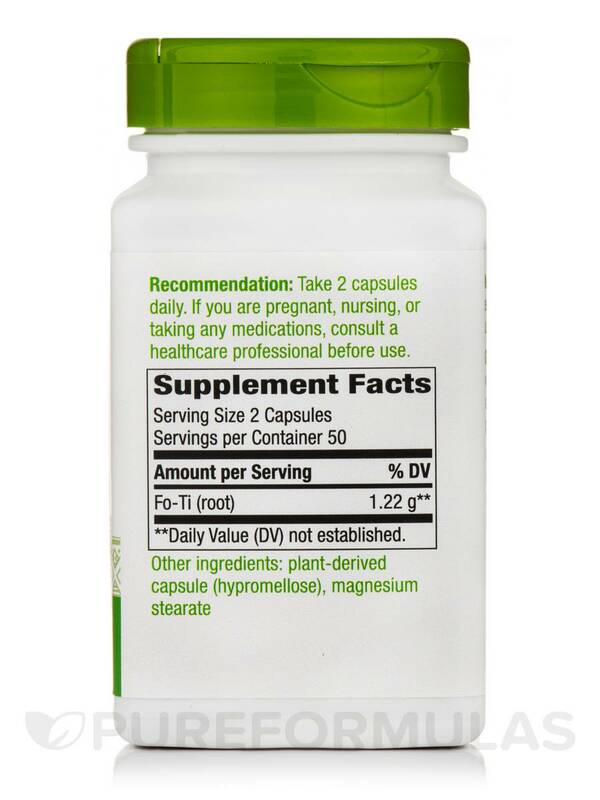 Covering an impressive range of conditions‚ fo-ti in this supplement from Nature’s Way® may maintain a heart healthy lifestyle and control fatigue. It may keep glycemic levels in check too. Avail the multiple benefits of Fo-Ti Root 610 mg - 100 Capsules from Nature’s Way® and this health tonic may keep you brimming with youth and your body healthy. Do not use if you have diarrhea. Fo-Ti Root grows my hair fast! Bought this product to help in the reduction of hair-loss. I cannot speak to its effectiveness directly because I use it as part of a stack. 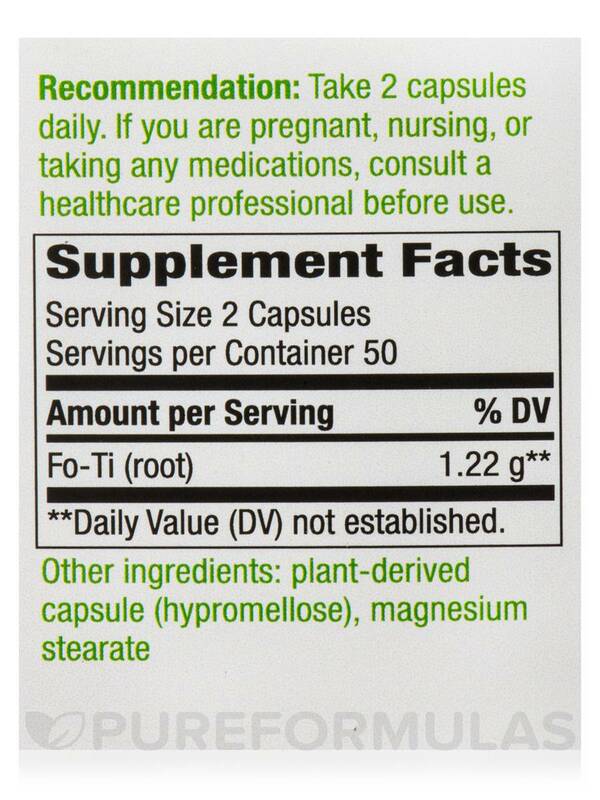 I dont like taking supplements 3x a day so maybe I dont take enough of Fo-Ti Root 610 mg. I still got results. is this cured or raw? Thank you for your question, Lyndon :) The Fo-Ti root used in Natures Way product is the whole root dried, then ground into a powder. It is considered raw, not processed or cooked. Hi I want ask what kind of gelatin in this item ? pork or cow or both?